Choose from 4316 boats in Dalmatien. Croatia is a favorite travel destination for yacht charters and has seen increased popularity since it was featured in Game of Thrones. But where is Croatia? The young republic in the Balkans was part of Yugoslavia until 1991, and it is located in the SouthEast part of Europe, just Eastward from Italy on the Adriatic Sea. This top sailing destination is bordered by Hungary in the northeast, Slovenia in the northwest, Bosnia and Herzegovina and Montenegro in the southeast and Serbia in the east. Hot travel tip: The mesmerizing Mediterranean republic boasts endless coastline and dramatic mountain views for anybody seeking to hire a boat in Croatia. Croatia is broken into regions that are historical designations and Dalmatia takes up the southern portion of the country and much of its jaw-dropping coast. The Dalmatian islands are among the most beautiful islands of the Adriatic Sea making it a magnificent destination when going on a boating holiday in Croatia. Yacht chartering in Dalmatia offers the freedom to combine the vibrancy and culture of busy ports, party, and adventure sports islands, with the tranquillity and privacy of more isolated beaches and coves. It important to mention the Kornati with its 150 islands and reefs as a unique area for your boat holiday in Dalmatia. Why go on a sailing holiday in Dalmatia? The most popular time to visit Croatia’s Dalmatian coast is usually during the warm and dry summer months between May and October (July and August being the high season). However, venturing into the off-season or ‘shoulder months’ of May through June and September through October, the climate is milder and also an ideal time to hire a boat in Croatia as it provides better prices and more flexible. The best way of getting around Croatia’s Dalmatian Coast is to go island-hopping by boat. You can charter a yacht in Dalmatia via multiple ports of call, including the popular ports of call Split, Sibenik, and Zadar. We offer over 4000 boats in Dalmatia. Find your yacht in Dalmatia and start your unique experience in the most beautiful region in Croatia. 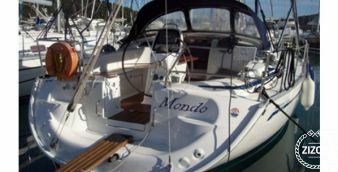 Choose from a variety of certified and certified sailboats. 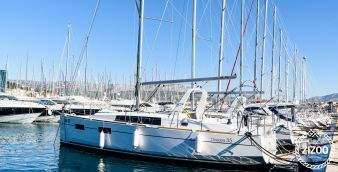 Whether for a day charter, bareboat charter or a sailing vacation with skipper, renting a sailboat in Dalmatia is well worth it. Set sail and drive along the imposing shoreline. Hot tip: Sailboat charters are the most popular choice in Dalmatia. With a motorboat, you have the opportunity to get from island to island at high speed. If you rent a motorboat in Dalmatia you can also explore only one island with all its secluded bays in luxury and peace. If you charter a catamaran in Dalmatia, you can not only look forward to great comfort but also to stability. A catamaran can be powered by wind or a motor. Rent your catamaran and explore the unique Dalmatia. The Dalmatian coast is a sure thing when you rent a boat in Croatia. Main destinations in Dalmatia can be divided into three groupings, South Dalmatia, including Korcula and Dubrovnik, Central Dalmatia, including Split, Trogir, Hvar and Bra,c and North Dalmatia, including Zadar and Sibenik. All with their own distinct offerings, you can combine all three or focus on each region when you hire a boat in Dalmatia. With some of the most stunning coastline in Croatia with 500 islands in the archipelago of Zadar and Sibenik - Northern Dalmatia is among the best if less explored regions to hire a yacht in Dalmatia. The heart of Northern Dalmatia is Zadar, a historical, archaeological and culturally rich city. The medieval center in Sibenik has a magnificent cathedral. The city serves as a gateway to great natural wonders and is a favorite destination for yacht charters in Dalmatia. Zizoo offers over 600 boats in the marinas in Sibenik, Zadar, and the Kornati, among others. 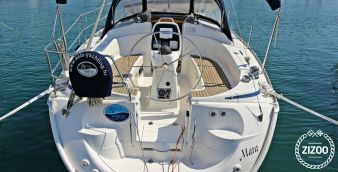 There are various marinas that serve as starting points to explore the many islands that are best visited on your boat rental in Dalmatia, including the fascinating islands of the Kornati, and the islands of Ugljan, Pasman, Dugi Otok and of Murter. Also referred to as Lover’s Island or The Island of Love, Galesnjak is a natural wonder of a tiny heart-shaped island in the northern Dalmatia region. A close sail away from Zadar, one of our top starting points when sailing in Croatia, be sure to stop at the heart of it all and enjoy the crystal clear water and beautifully preserved nature on the island. The uninhabited island is not only great for a pitstop on land to shake of your sea legs and enjoy a hike, but also for a quiet uninterrupted beach day where you can bask on the white sandy shore. For lovers and adventurers alike, be sure not to miss this natural wonder in the Adriatic! Perhaps the most coveted port in all of Croatia is in Split, which is located in central Dalmatia. Zizoo has over 1,500 boats spread across the following marinas in the region: Split ACI Marina (Split) and nearby Marina Kastela, while Trogir ACI Marina and Yacht Club Seget also great alternatives to rent a boat in central Dalmatia. Split is a large historic city with a famous center and the Salona Roman palace Salona. Split also serves as the departure point for the key islands of Brac, a family-friendly stop, with the famous Zlatni Rat beach. The central Dalmatian island Hvar, is also popular with yacht charters for it is known as a lively cosmopolitan island, but also offers wonderful lavender fields as well as breathtaking Renaissance architecture. Vis, the more remote Croatian Adriatic island, is famous for its excellent seafood and vineyards producing world-renowned wines. A popular spot for charters in Dalmatia is the Modra Spilja Cave at Bisevo Island. Bay of Stiniva: On the south coast of the island of Vis you will find this natural phenomenon. A bay like in a picture book. Postira: An enigmatic small village on the island of Brac. Bay of Lovrečina has one of the largest sandy beaches and a great mooring. Makarska: Not quite as unknown, but still worth a visit. Makarska is best known for its magical beaches. In this part of Dalmatia, you will find the most important and largest city in Dalmatia, Dubrovnik. Southern Dalmatia starts from Gradac, stretches along the border with Bosnia-Herzegovina to Kotor in Montenegro and is characterized by a narrow strip of land north and south of Dubrovnik. This region is enjoyed by sailors for it is with dramatic shorelines on the Adriatic coast. Dubrovnik is the historic ‘Pearl of the Adriatic’, one of the most famous destinations of the Mediterranean because of its famous 13th-century Old Town which remains preserved to this day. Dubrovnik has also become known for his important role in the television series "Game of Thrones", but also attracts thousands of travelers each year, with its UNESCO-protected Old Town. However, it is swamped in high season, and its best to hit the waters quickly, or consider exploring Dubrovnik on a boat in the colder months when boat rates are lower and the compact historic center is much less crowded. 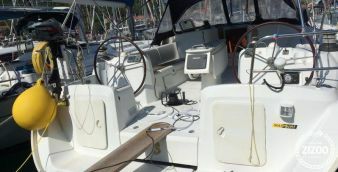 This place is a great starting point for renting a sailing boat in Dubrovnik or is also suitable as a stopover for your sailing trip in Dalmatia. The ACI Marina Dubrovnik is one of the best marinas in Croatia and offers 380 berths for water and a further 140 moorings on land. Dubrovnik itself is easily accessible by ferry, plane, car, bus and the marina is only 6 km from the city center. Elaphites: Also called the front gardens of Dubrovnik. 13 islands with paradisiacal beaches, of which only 3 are inhabited, can be found here. Sipan, Lopud, Kolocep are just some of the beautiful islands of the diverse Elaphites. Betina Cave: one of the first stops you’ll want to make after you leave the marina is Betina Cave. Popular among kayaking groups, it can only be reached by sea. Island Mljet: One of the largest islands in southern Dalmatia with the impressive national park. Ston: Here you will find the longest stone wall in Europe and second longest wall worldwide after the Great Wall of China. Pupnatska beach: the most beautiful bay on the island of Korcula. It is only 15 km from the city of Korcula. Beach of Pomena: Great beach on the western coast of the island Mljet. Divna beach: sandy and shingle beach with crystal clear waters awaits you here. You can find this beach on the peninsula Pelješac. Bay Zaklopatica: Quiet and safe bay with excellent anchorages, restaurants on the shore and a great location on the northern side of the island Lastovo. Book your boat holiday with Zizoo today! Zizoo team of boat holiday experts will be happy to assist you with advice and guidance while planning your boat holiday in Dalmatia.